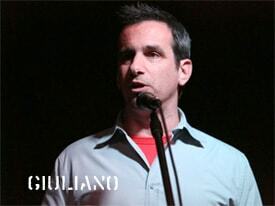 Giuliano said he was stepping down to pursue “personal interests while completing his forthcoming book about his public and political life.” Giuliano served as the mayor of Tempe, Arizona for ten years prior to joining GLAAD. Giuliano will continue as President until a replacement is named later this year. GLAAD’s Co-Chair Laurie Perper said the board will address the transition and begin its search process at its board meeting in early February.